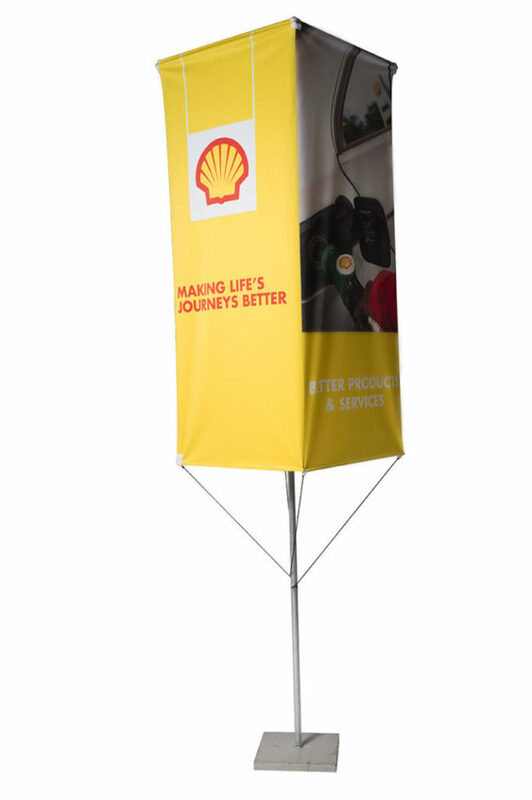 The tri freestanding banner is a banner that is designed to have three visual vertical sides. These work so well at banks and at car showrooms. The tri freestanding banner can convey three different campaign messages for branding.